Achieve confident body language and presence. By applying these techniques to every communication, women will be recognized as leaders and attain positions of influence. 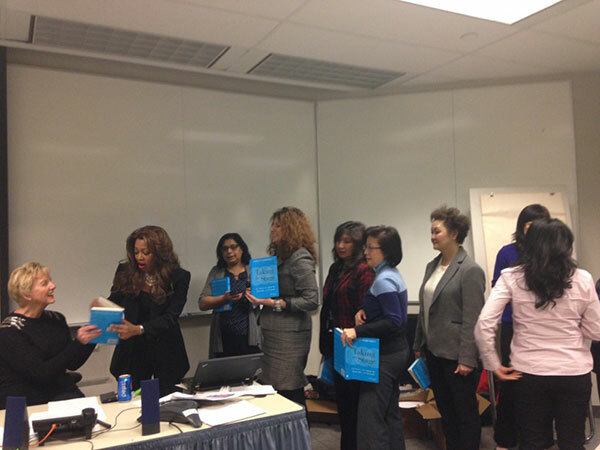 This book is for women at all levels and for managers and executives committed to supporting women on their leadership journey. “I’ve written this book so women can find their own strong voices, seize new opportunities to lead, and advance their careers. . . . 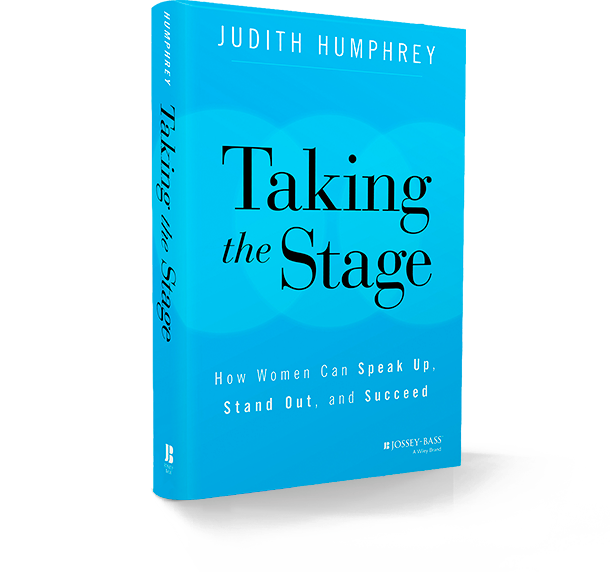 Taking the Stage puts forth a compelling strategy for reversing traditional female socialization, thereby helping us become more comfortable in the spotlight. It will show you how to take your rightful place on the corporate stage to advance yourself and your ideas. Harvey Schachter, “Why Women Shouldn’t Avoid Centre Stage,” The Globe and Mail, November 30, 2014. 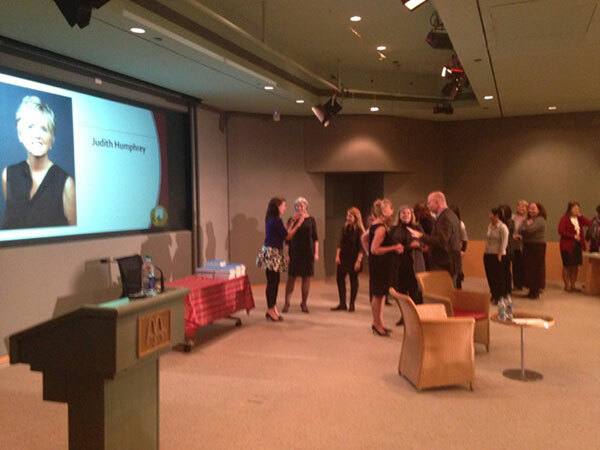 Rebecca Knight, “Book Review: Taking the Stage’ by Judith Humphrey: Do Not nod or apologize. Strong words are needed if women want to advance your career,” The Financial Times, March 5, 2015. Sofia Beuchat, “Las Mujerwes Debew Perder el Miedo al Liderazgo,” Women Must Overcome the Fear of Being Leaders,” El Mercurio, March 23, 2015.